Dov E. is a native El Pasoan. Born and raised in El Paso, Texas, he attended Mesita Elementary, El Paso High School, and the University of Texas at El Paso where he received a Bachelors degree in Art Education with Teacher Certification. Dov E. is known as an award winning international designer. He has done design shows in several cities in Texas and New Mexico, as well as in Mexico City, Guadalajara, Chihuahua and Monterey Mexico. 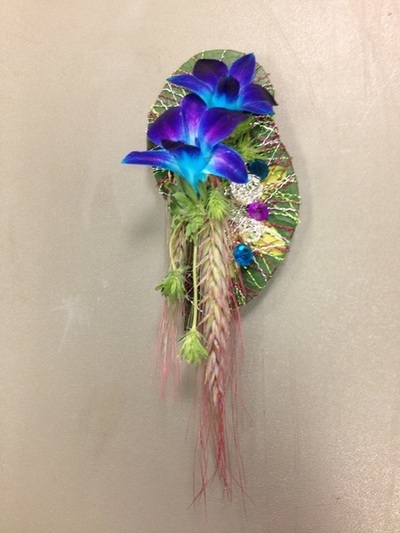 Among his awards are the WestTexas New Mexico Silver Cup, the Texas State Florists Assoc. Texas Cup in 1999, first runner up in the regional Southern Retail "Designer of the Year" Competition and the national Sylvia Cup Competition and the winner of the WTNM 2006 Jerry Dorsey Memorial Scholarship competition. 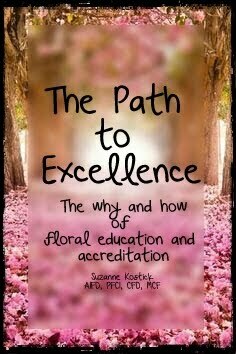 He is newly certified by AIFD as an Evaluator/Judge for floral design. 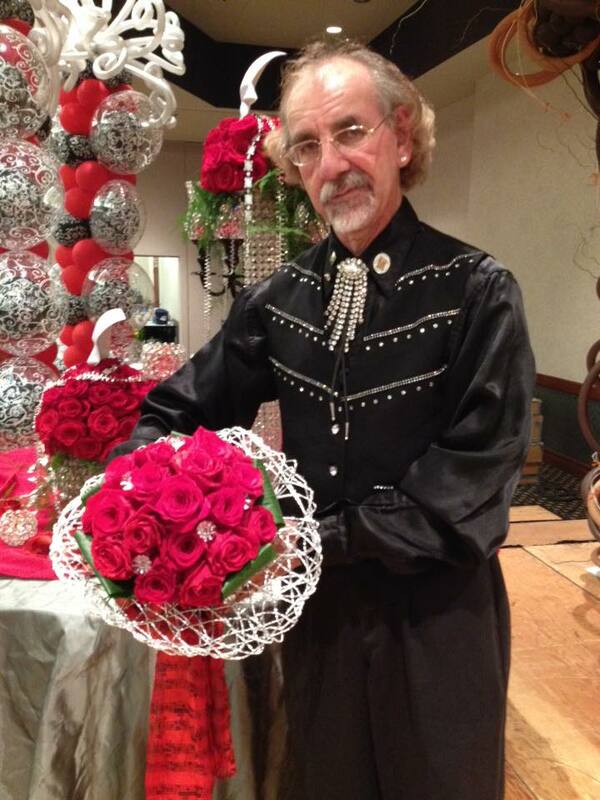 Dov E. is a member of the WesTexas New Mexico Florists Assoc., Texas State Florists Assoc., and the prestigious American Institute of Floral Designers. He is the former instructor for the Professional Floral Design classes at El Paso Community College and has also taught design classes at UTEP. 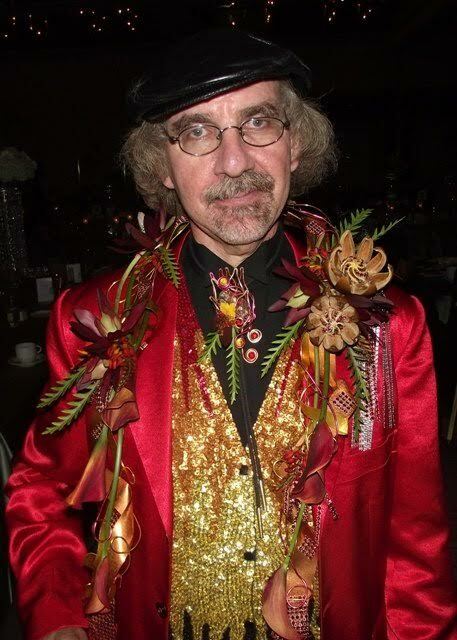 Dov E. has done several design shows, floral workshops and seminars, and has assisted many well known designers with their programs and classes.. It was actually a fluke. I had never done flowers professionally. I did help my mother with stuff for the Jewish women's organizations she was in. She told me to go and ask for a job in a local flower shop that had been recently purchased by a Jewish man. I went, but they weren't hiring at that time. He told me I could come in after class and observe if I wanted to. I took him up on that and would occasionally go in and watch after my classes at the university. A few months passed and the holidays were coming. He offered me a part time job after school. That's how it began. 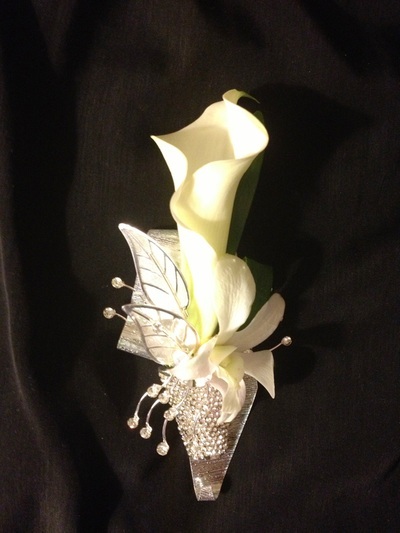 I was trained in the shop and outside workshops and classes. I was part time for 5 years until I graduated and became full time shop manager after. I was in the shop for 18 1/2 years till things fizzled. Set out on my own after that and Designs by Dov E. was born. Be Yourself! Do what you know how to do best! Do not compromise your design style or design skills! Follow your dream and make it a reality! It is a career you have to be passionate about. Not always the best income, but it gives you the best gratification possible! It's not a hobby turned career profession. If you want this as a career, make sure you keep up with trends and the industry in general. It is an ever changing profession. Actually both. I can visualize something in my head. I will sketch it to see something visual. When working on designs, I will use the sketch as a guide, but it may also change in the process. Also, I can be given a challenge and design on the spot. Years of study and design principle knowledge come into play when this happens! I recharge by attending Floral events. AIFD Symposiums, State and regional conventions and workshops when possible. Inspiration happens all the time. Looking in store windows, taking a walk, or even dreaming. I began as a simple copy designer, designing from pictures or examples, As I progressed in my career, I began to do my own designs and became a designer. 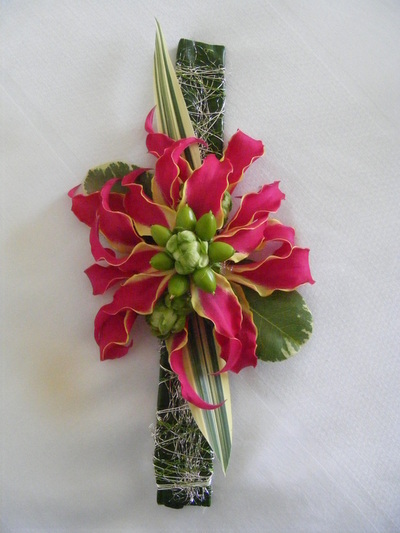 Now, I do my own designs with my own style and have become a freelance floral artist. 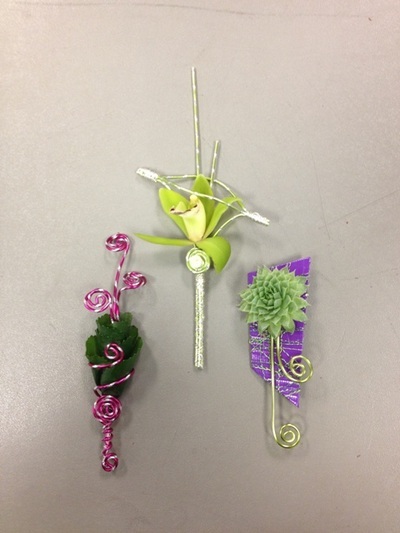 From simple bud vase and roundy moundy designs to stage and education programs and workshops. 38 years of evolution. 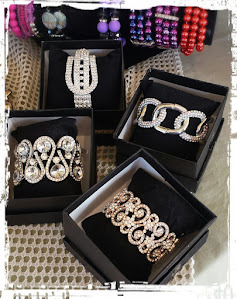 The new designs include lots of bling and fun accenting and lots of color. We are lucky to have such companies as Oasis and Fitz and all the ribbon companies that provide us with wonderful new products to incorporate into today's designs. 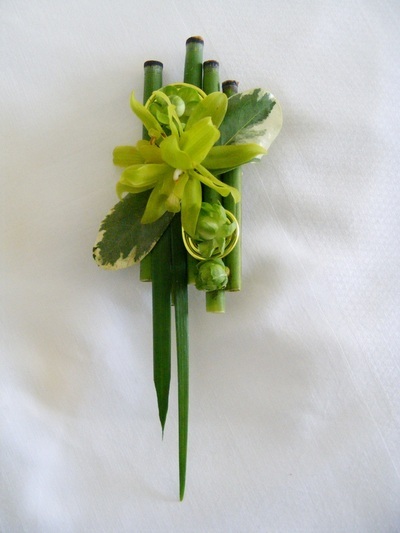 Gone are the days of the simple rose or carnation corsages or boutonnieres. 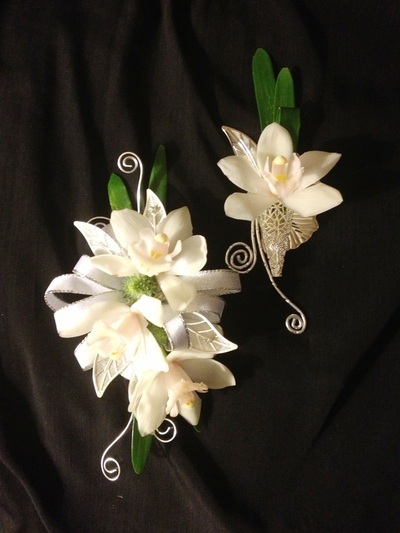 One would be that corsages and other body flowers are available on the spot (that they can just walk in and pick one up). Another would be as you said, they have no idea, They don't know that it takes time to create them. A big misconception is that they are smaller than arrangements, so they should cost less. They have no idea how much time and effort and creativity goes into designing those body flowers. They don't know what they want. They aren't aware of all the new looks and styles that are available. They are not up to date with the times. 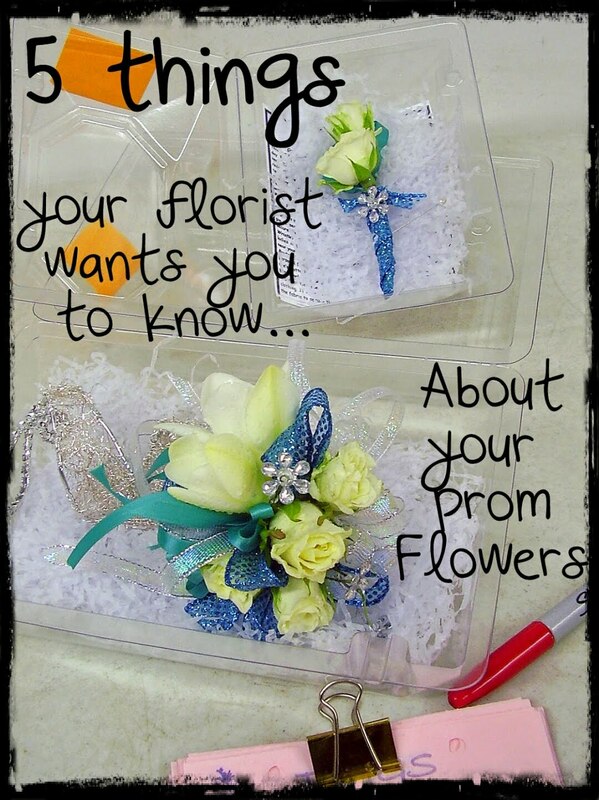 Believe me, I have customers who know more than some florists I know! 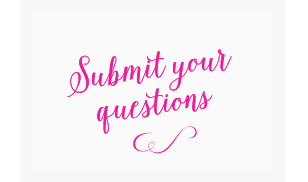 Favorite flower variety or new product you're obsessed with right now? 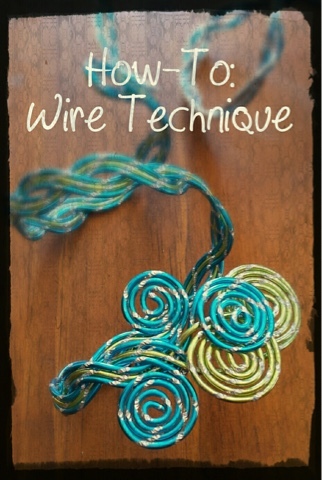 I love all the new wire that has come out in the market. Oasis is the leader in this. 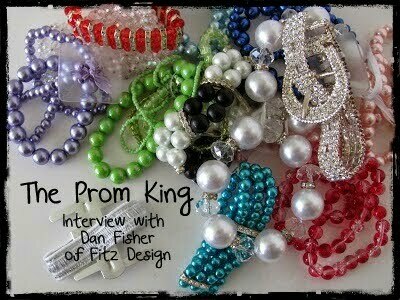 Also all the rhinestone and bling accessories from Fitz. They make my designs special! Wow! That's a hard one. 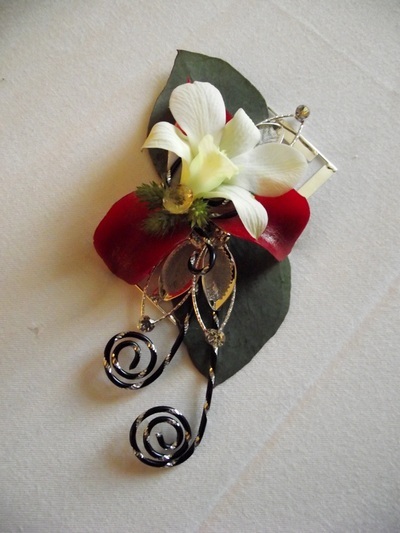 My over the shoulder or full lapel designs are my favs. Who would wear it!. Cher, Madonna or Lady GaGa. Imagine what they would look like! Be passionate about design. 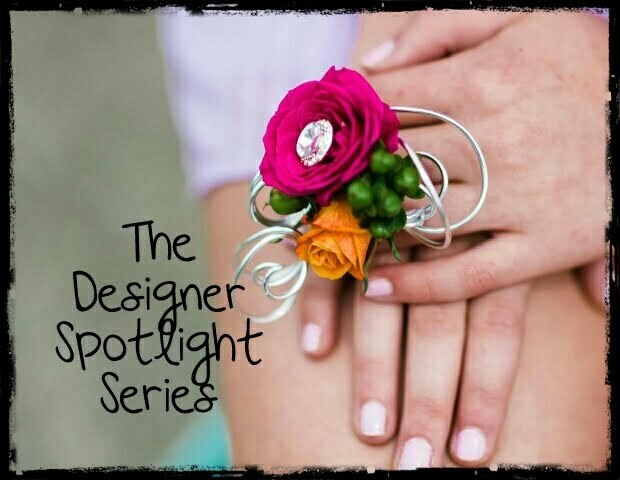 Learn everything you can about design and be on top of the latest looks and trends. Be a trendsetter...not a follower!!! Thanks so much to Dov for this great interview! Awesome interview, Tracey! I especially loved reading how Dov began his career in the industry. I think many of us have similar stories-it was just a fluke for me as well to become a florist! Dov describes himself well-he is passionate PLUS! Really enjoyed this interview. Thank you, Tracey and Dov. Thanks! 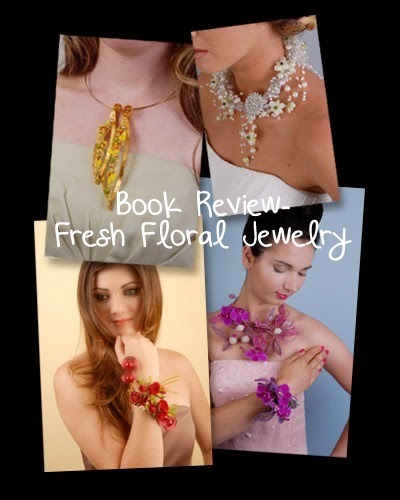 it's interesting to read about the journey into the floral industry isn't it? I've been enjoying each one- they all have different stories to tell.